Just as it’s time to spend Valentine’s Day, 2016, prep up the situation by knowing how you can use search engine marketing expertise to spice up your love life. If you’re one of those regular online marketers, you must be aware of how tough it can be to strike a balance between your professional and personal life. There are times when your work can become an impediment to your love life. With Valentine’s Day knocking your door, you are probably stuck between checking whether your marketing campaigns are all working right and struggling for some romantic time. What if there would be a way out for you so that you could do both? The key to great romance is effective marketing. As a marketer, you must be hoping to make the offering of your company more lucrative to gain attention of the target audience. The same should be applied to romance. Don’t stop soon after you get clicks. If you make the mistake of stopping to woo (which is being referred to as marketing), the romance will die soon. Your better half might still hang around you due to brand loyalty but if you stop putting in the effort, there won’t be any passion left over. So, now that you see the strong relationship between love and marketing, isn’t it pretty logical that Google AdWords could be utilized for romance? Establishes a connection: If you wish that your ad will get clicked, it is important for you to make a connection with the target audience. The best word to use is the name of the customer. It is best to add the name of the target audience in the ad, and if you can’t remember his name, there’s just no hope for you. Engage their minds: The ad copy is the only clue that the audience gets about what they will get after they click on the ad. Keep a question within the ad copy so that it engages the target audience and interests them. 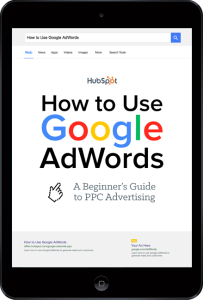 Hence, if your ad copy offers the above 3 things, you can be sure about being able to woo your target audience with Google AdWords.